Weather-proof and rust-proof metal steel wire,stable and durable. Foldable design ,make it easy to carry,Great flexibility to be folded when not in use. Handlebar hooks make installation and uninstallation a breeze! There is also a quick release system to easily unhook and hook it back onto front handlebar and your rear bike rack. 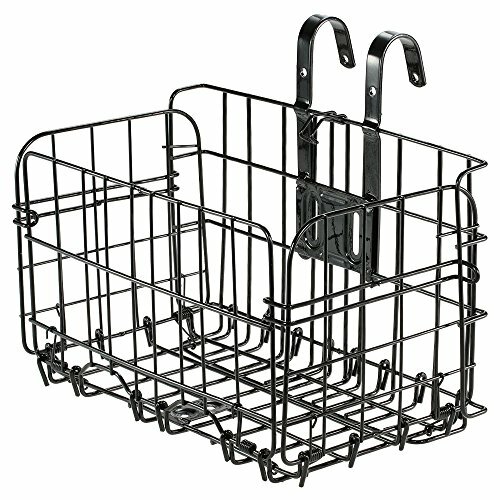 This bicycle basket is great for you to stuff your essentials while biking with its durable material construction. Robust steel frame has two hooks that can hang on bicycle handlebar;It can assume the approximate load of up to 10kg. If you have any questions about this product by ezyoutdoor, contact us by completing and submitting the form below. If you are looking for a specif part number, please include it with your message.